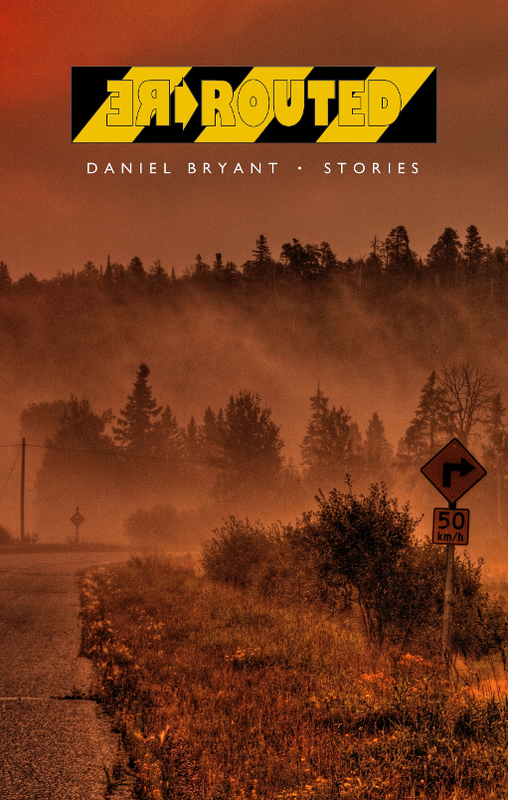 Expect the unexpected in Daniel Bryant’s Rerouted, a collection of linked short stories in which myth, mirth and mayhem are never far away. A postal worker confronts the supernatural after he is assigned a cursed route near an abandoned tannery. An attempted robbery goes awry when dimwitted thieves decide to knock off a coffee joint ... before it opens for business. Touring musicians experience uncomfortably close encounters while on the road in Northern Ontario. Serial killers and shape shifters are the least of their problems. Bad song writing—that’s the real elephant in the room. These and other stories form a linked narrative in which the mysterious Benny Tak appears and disappears. Is he a cipher? Some insidious background performer who shows up in everyone’s personal narrative? Either way, he is ready for his close-up—with lines. Eerie and at times otherworldly, the darkly comic tales in Rerouted take unexpected detours, exploring what happens when plans change, things get weird, and fate gets rerouted. ‘Mr. Postman. You gave me the wrong letter!’ Jillian Hampstead held out an envelope toward Joel. It was a standard airmail envelope: light blue with red and blue hashmarks along the edges. It looked like it had been through a washing machine. It was faded and tattered. Six stamps were missing, leaving behind dark blue shadows. Six stamps remained—pale yellow ziggurats, mustachioed men, splayed fruit. ‘Sorry,’ Joel said again trying to sound sincere. ‘No worries. I’ll slap a damaged sticker on it and the UMO can RTS it.’ UMO stood for ‘undeliverable mail office’ and RTS was short for ‘return to sender’. Joel hated jargon, but it had its uses. It was good for bypassing coherence or meaningful engagement. ‘That’s okay. Life doesn’t make sense.’ Joel stifled a yawn. He was tired. Socrates [his blue-eyed cockatoo] had spent many hours late last night ‘securing the perimeter’ and being otherwise inconsolable. Her behaviour had probably been triggered by the scent of butter chicken on his breath from dinner at Lenora’s house. ‘Aren’t you gonna read it?’ Jillian asked. ‘Well, it’s mighty queer, you know.’ She stepped backwards into the house and shuffled toward the kitchen. Jillian’s kitchen needed a makeover, or maybe a blowtorch. Joel seated himself at a ‘country kitchen’ table, probably purchased at some discount department store many years ago. The knobby spindles on the back of the chair rubbed against every incorrect pressure point along the length of his spine. The fridge and stove, harvest-yellow derelicts from the ’70s, had broken knobs and dented surfaces. The kitchen countertop, off-white Formica with badly pitted chrome edging, was a petri dish of encrusted grime and forgotten sauces. The walls and the cabinets were painted pink—thawed, cadaverous pink. It did not have a calming effect. 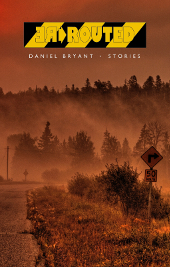 Born in Montreal, Daniel Bryant grew up in the small town of Aurora, Ontario. He graduated with an Honours B. A. In English from York University and received the Timothy Findley/William Whitehead Scholarship to attend the Humber School for Writers Correspondence Program. He has mentored with Paul Quarrington and Will Ferguson. Rerouted is his first collection of short stories. When not writing, Dan has worked many interesting jobs: printing press, tannery, tart factory, film crew. He currently works for Canada Post as a letter carrier. 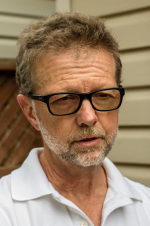 He lives in Toronto with his wife, Nancy, and occasional appearances by their grown son and daughter.